Men-ya Sho’s speacial Miso ramen only on Wednesday. 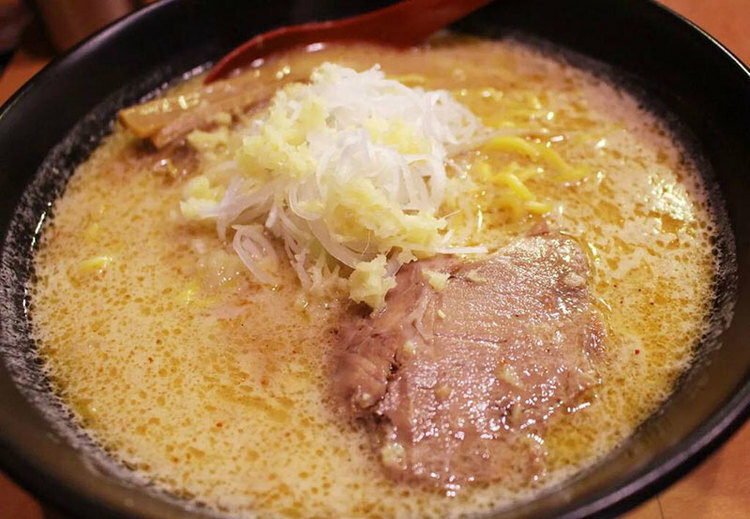 You can taste rich and strong miso which you have never experienced. Mountain of white onion and ginger tighten the flavor of miso. This combination makes you possible to enjoy rich and refreshing flavor simultaneously. 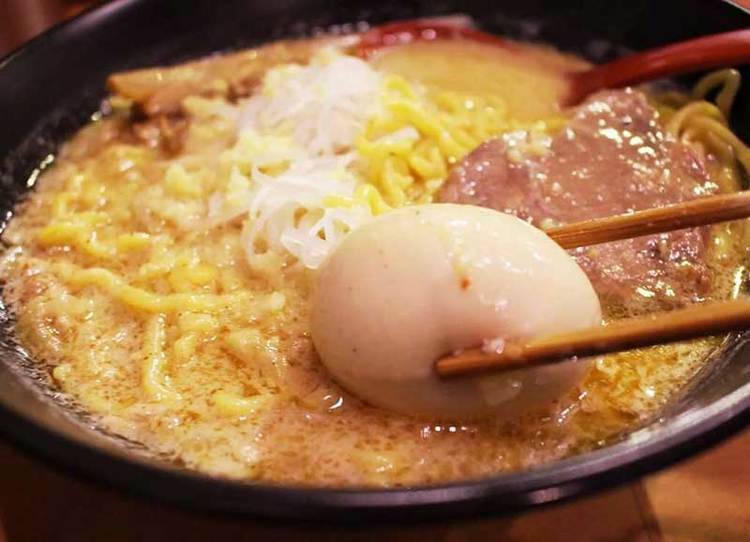 This is not just ramen but the art is fulfilled with this bowl. This stylish monochrome signboard is the Men-ya Sho!! 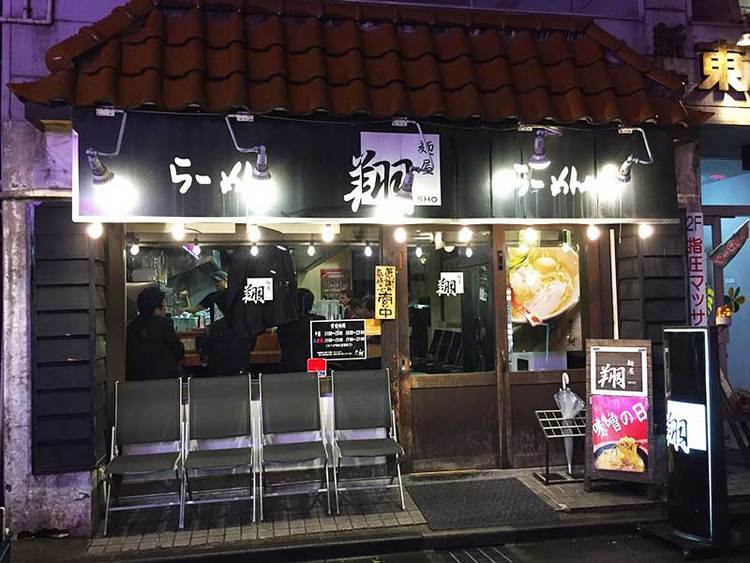 Whenever you entered, employee always welcome you with big smile and IRASSHAI MASE(welcome in Japanese). You can feel the Japanese OMOTENASHI culture here. 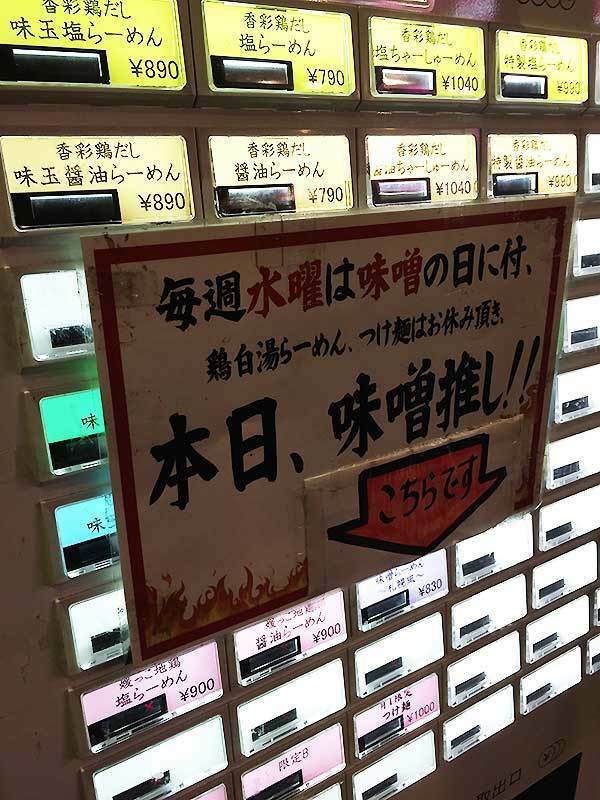 Push violet button on the bottom and ticket comes out. Thick and wavy noodle is well entangled with soup and gives you satisfaction of chewiness. And juicy roast pork pursuits your satisfaction. 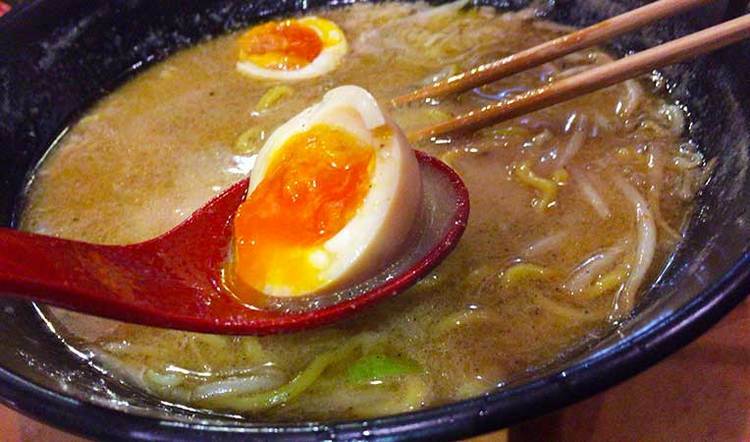 You can never eat ramen without Soft boiled egg. No need to explain how mellow this egg is. This egg makes ramen one lank higher. 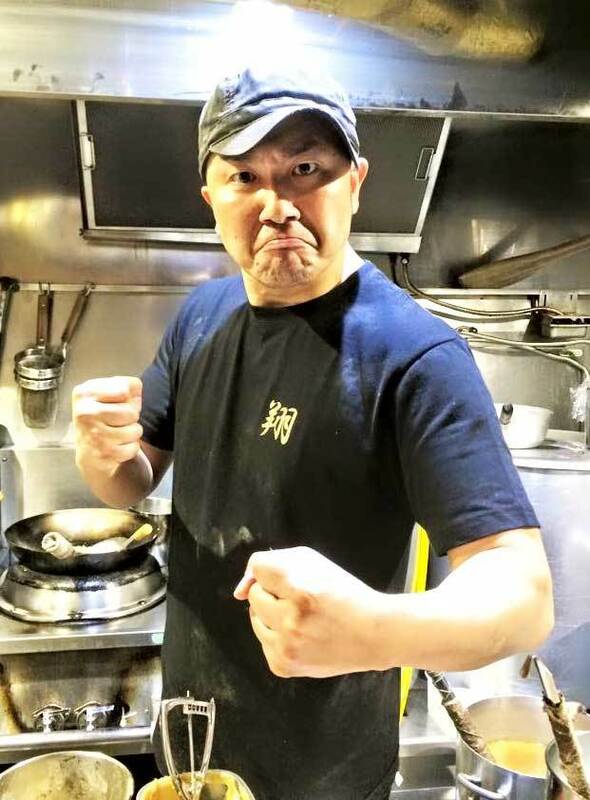 Despite his powerful appearance, he makes delicate and sophisticate ramen. 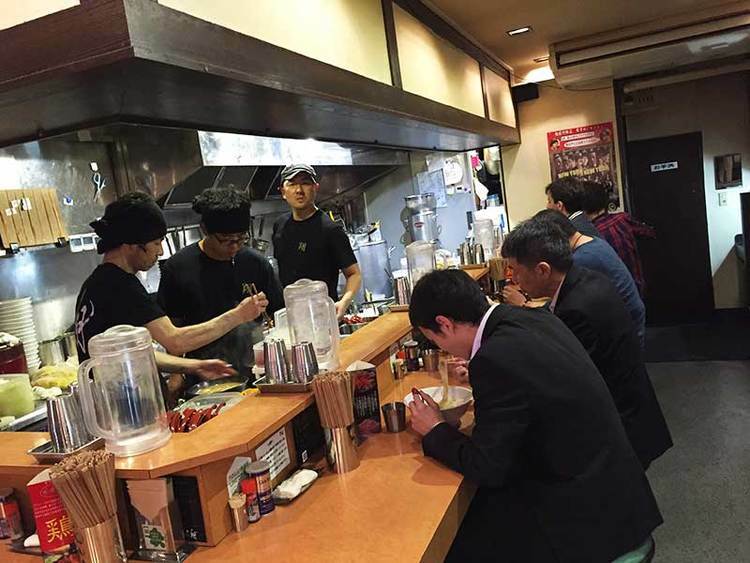 Men-ya Sho is composed of healing you physically from your stomach with its ramen and mentally with his character and talk. 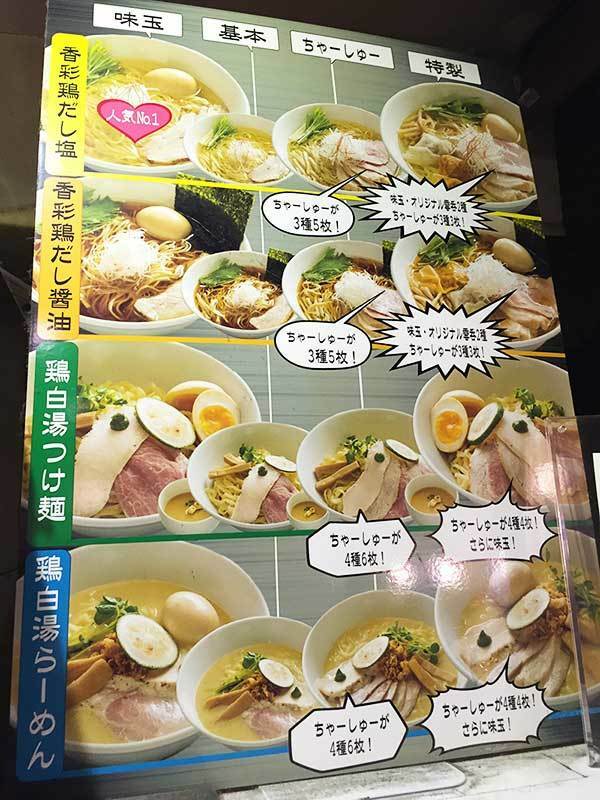 Salt, Soy sauce, Creamy Chicken Soup Ramen, Creamy Chicken Soup Tsuke-men are usual menu. Salt is the most famous flavor. Please try this also.